Former Pennsylvania DEP secretary John Quigly. 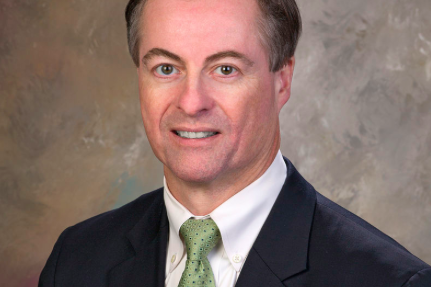 Five weeks before John Quigly resigned from his post as secretary of Pennsylvania's Department of Environmental Protection, he fired off a stinging email to state environmental groups he felt were absent in the legislative battle over new oil and gas regulations. The email, published Monday by State Impact, has been described as "the straw that broke the camel's back" for Quigly. Some in Harrisburg sensed that his staunch environmental advocacy was steering him away from the consensus prioritized by Gov. Tom Wolf, who thanked Quigly for his service and named Philadelphia-native Patrick McDonnell as acting secretary pending a Senate vote. Reproduced in full below, the email was sent April 13 as state legislators considered stalling changes to clean air protections and oil and gas drilling regulations. In the days after it was sent, several environmental groups, including PennEvironment and the Natural Resources Defense Council, ran critical ads calling for action on the regulations. I’ve slept on this but can no longer hold back. Where the f--- were you people yesterday? The House and Senate hold Russian show trials on vital environmental issues and there’s no pushback at all from the environmental community? Nobody bothering to insert themselves in the news cycle? Is there no penalty for D apostasy, at least, or shaming of the gas-shilling Rs? Apparently so. Do some of you think that staying on your moratorium hobby horse does anything to advance the cause of protecting the environment and public health? Do you really think the Governor will veto this s--- with NO support? The environmental community is without influence in Harrisburg. What will you do about it? As PennLive noted last week, it's possible that Quigly, 56, was "too green" to overlook environmental concessions in a state where energy politics has enormous economic implications for lawmakers and the oil and gas industry. Quigly previously served as secretary of the Department of Conservation and Natural Resources. There are energy policy wars going on that pit one of the major drivers of the state and national economies - copious natural gas deposits - squarely against unyielding scientific issues that those same economic drivers contribute to. Then, there is a divided government in Pennsylvania that often finds the Democratic governor and the Republican-controlled legislature starting from opposing corners on many of those issues. While questions have since surfaced about Quigly's attitude and a thinning roster of environmental minds in Harrisburg, former DEP secretary David Hess had complimentary words for his departing heir. “There is no doubt Secretary Quigley was a tireless advocate for the environment and for the survival of DEP as an effective agency, something it is on the edge of losing these days,” Hess said. “He raised uncomfortable questions many people did not want to face ... the kinds of environmental protection programs we want going forward as a Commonwealth."